[ZurichTimes] On May 13, 1917 the famous Fatima sightings and visions began to the 3 children in Fatima, Portugal. It was also on this date that in 1981 – Mehmet Ali Ağcaattempts to assassinate Pope John Paul II in St. Peter’s Square in Rome. [Being Libertarian] “On Tuesday, Syrian dictator Bashar al-Assad launched a horrible chemical weapons attack on innocent civilians. Using a deadly nerve agent, Assad choked out the lives of helpless men, women and children. It was a slow and brutal death for so many. Even beautiful babies were cruelly murdered in this very barbaric attack,” Trump stated at a short press conference in Mar-a-Lago. Of course 4 years later and now as the President, being a hypocrite war monger who goes to bed with the Zionists Christians and Zionist Muslims aka the Saudis to start new wars in the Middle East and Asia is no problem at all. War will create lots of jobs for Americans so where the harm was the thinking of the average American? We could not have seen that coming could we? We are most definitely on a Prophetic Timeline now no matter what these deniers and sheeple have to say because if they cannot discern what is utterly obvious and in front of their eyes and a few clicks away then they will never realize the truth. And woah to the deniers on that day when it will really matter. Our previous post on the significance on May 19th, 2017 is still very much in play and again another Prophetic Temporal Timeline Marker because something of utmost significant happened again in Syria at the hands of President Trump on an exact date. Perhaps most of us missed it? On May 19th, 2017 President Trump once again attacked Syria this time with an Zionist Christian and Zionist Muslim Alliance made up of Jordan aka the Hashemite Kingdom installed by the Zionist Saudis and this time joined by Norway, Britain, and of course the Free Syrian Army aka ISIS/Daesh by just another name. So on May 19th, 2017 we witnessed America form an Alliance with Zionist Christians and Zionist Muslims to attack Syria and thereby also Iran and Russia to appease the False Gods of Zionist Israel. Setting the stage for a World War III scenario – war to end all wars under the Banner of 80 Flags another week later with his Zionist Saudi/Israel/Vatican/Brussels visit which is another huge Prophetic Temporal Timeline Marker. How did we get to 80 Flags? The math is simple, but requires again some discernment. The Arab NATO Alliance that was formed in Riyadh, Saudi Arabia was 50-55 depending on how you count. America is counted twice, the real Government of Yemen is not part of the this Alliance and Sudan was also absent. Add to this 50 Nations number the 28 members of NATO and his visit to Brussels we then arrive at 78 at minimum. The number is short by 2? Not unless and until we add the 2 nations Trump visited between Riyadh and Brusells aka Zionist Israel and Zionist Vatican and there we have another Prophetic Temporal Timeline Marker for the deniers. Here is the website of the Riyadh Summit with the list of 55 Nations of the Arab NATO Alliance who have now pledged their allegiance to Zionist Saudi Arabia to be lead by the Zionist Christian President Trump. Notice the flash of Lighting in Riyadh, Saudi Arabia to mark the arrival of the Beast to the usher in the forming of the Grand End Times Alliance to attack Syria, Iran and Russia? And with the every present Occultist Law of Reversal in play the reference to the “Brighter Future” of course means the exact opposite. And of course “Together we Prevail” means the exact opposite as well. 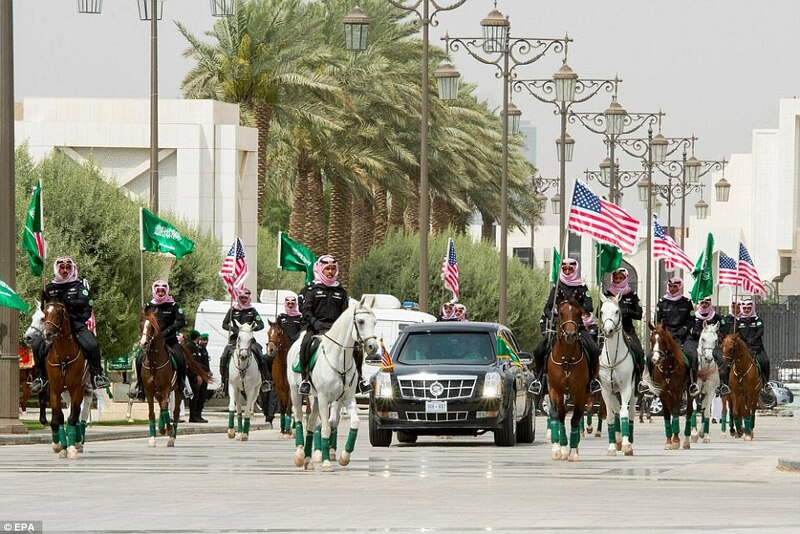 And do not forget or overlook the Religious Symbolism of arriving in Zionist Saudi Arabia in the Beast flanked by White Horses as in the Pale White Horse of the End times. It all began officially on May 19th just as was forecast according to the Quran Code mentioned in our post from May 12/13 [depending on the time in Syria] just like some mysterious clock that is determining all of our actions even without our knowledge. Why Syria again? Because Syria is the country in which Jesus will descend and defeat the Anti-Christ in the ancient city of Damascus. Yes that is the Timeline we are now all on without a doubt. Here is our screenshot capture of the time of the news when we first heard it. Like a perfect timeline clock the numbers were 1234 with the missing five right below it at for May the 5th month then 6 and then 7 from the 2017. How could all these numbers line up in such a sequence? Was it all coincidence? Is that the best your laziness and ignorance allowed you to do? Do you have not any more cerebral explanations for your denial? And on top of that the town that attack was called At-Tanf which just happens like another coincidence to be on the 33 degree Lat/Long. And where is beloved Damascus? It is also on the 33 degree Lat/Long. The Parable of the Snake and the Farmer by President Trump. What happens dear President Trump when you make Deals with Snakes? Who is the Hypocrite here? Who were you referring to dear President Trump and what were you really saying? This post was partly an explanation of our May 19th post and partly to lay an introduction to this article by Katherine Frisk on Veterans Today on the Third Secret of Fatima and its significance for our collective futures. Her article is below. [Veterans Today] With regard to the Knights Templar, the key here is Gold and Mary, the mother of Jesus. 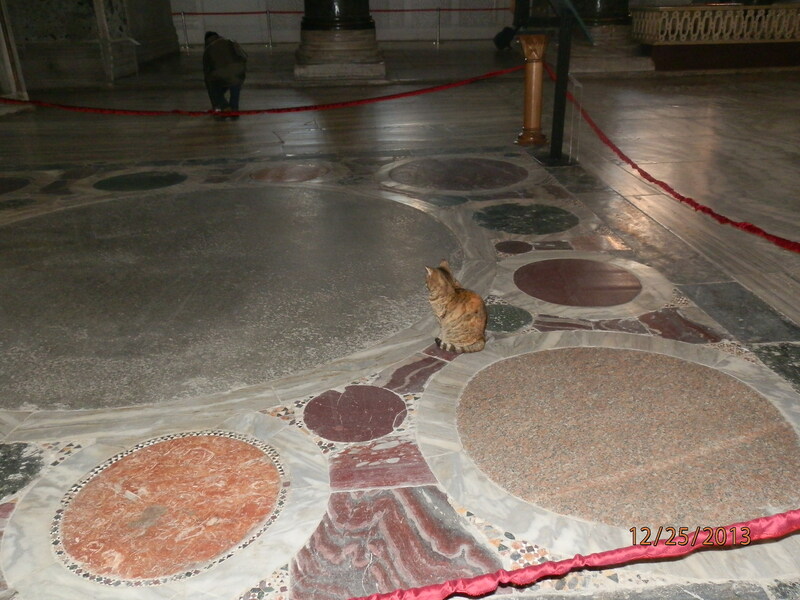 The Templars established a Gold backed monetary system across Europe and were a direct threat to the usury ( compounding interest) banking system of the Del Banco bankers in Venice who had funded the sacking of the Orthodox Christian Church of the Haggia Sophia (Holy Wisdom) in Constantinople in 1204. The Knights Templar protected all Christians irrespective of whether they were Orthodox ( eastern Byzantine) or Latins (western Roman,) including the Cathars from the Languedoc in the south of France who were accused of being heretics by the Roman Catholic church, persecuted and burnt at the stake at Montsegur in 1244. The Templars helped the Ethiopian Orthodox Christians to build their rock-hewn ground churches in Lalibela after Jerusalem was completely taken over by Muslims. They were, after all Masons (not to be confused with the Illuminati and the P2 lodge,) with their set squares and their compasses, who had built the great Cathedrals of Europe. All these churches were designed as a microcosm of the macrocosm of the New Jerusalem described in Revelation. Much like the Apostolic mission led by James the Righteous, the first Bishop of the early Christian church, so these churches were built all over the Christian world. 1:1 James, a servant of God and of the Lord Jesus Christ, to the twelve tribes which are scattered abroad, greeting.. The Templars were accused of being heretics and of worshiping a womans skull encased in gold. The woman’s head that the Templar’s worshiped, was the Theotokos , a painting of Mary and Jesus which was taken to Russia in 1155 and is still kept there. It is Russia’s most sacred and holy relic. The Templars were arrested on Friday, 13 October 1307 and Jaques De Molay, the last Templar Grand Master, was burnt to death in Paris in 1314 . Over and above the fact that the Del Banco usury bankers in Venice wanted to put an end to the Gold backed banking system, and that both the King of France and the Vatican wanted to confiscate the gold for their own benefit, the Templars were accused of not being true Christians, in other words giving sole allegiance to the papacy which considers the Pontifix Maximus to be the only authority on earth, owning the planet, all bodies on the planet and all souls as decreed by themselves in the three papal bulls written over 1,000 years after the death of Jesus. If they had read scripture, they would know that Jesus was tempted in the wilderness by the devil with all the kingdoms of the world. Jesus, unlike the papacy, turned the devil down. Many Templars who escaped, sailed their ships from Marseilles and at first went to Tomar in Portugal. Many of these noble Knights also sailed to Scotland and built the now famous Roslin Chapel . But what very few people know, is that the Knights Templar were also given sanctuary in Russia and they established an order in Moscow. They did not just simply “disappear” as history would have us believe. It is no co-incidence that the visions of Our Lady occurred in Fatima in 1917. Fatima is a short distance from Tomar, where the Knights Templar, who worshipped a woman’s head encased in gold, had a strong and well established castle. The most urgent message that this vision gave the three children, was that Russia must be consecrated to the Theotokos, or as the Roman Catholics interpreted it, “consecrated to the Immaculate Heart,” and the world would experience peace. If not then the evil that arose in Russia would spread to the whole world. The “Miracle Of The Sun ” witnessed by the three children and between 30,000 and 100,000 people occurred on the anniversary of the arrest of the Knights Templar, on the 13th of October 1917. After almost a century of imposed atheism by the Bolshevik communists, where over 60 million were persecuted and put to death and the Orthodox Churches destroyed, Putin has restored the Apostolic Orthodox Christian Church to Russia. “When construction of the church began, it was planned to celebrate the first service in it on precisely this day, the centenary of the tragic events of Russian unrest. On March 1917 the conspirators forced the Tsar-Passion Bearer Nicholas II into abdication. The messages of Our Lady of Fatima to three children 100 years ago in 1917, warned that a terrible evil would engulf the whole world if Russia was not saved, and the third secret around which there is still a great amount of controversy, describes the massacre of Christians, something we have seen in Syria, Iraq, Egypt, Libya and many other parts of Africa over the last six years by Islamic State terrorists. Also not confirmed but much speculated is that the last secret reveals that the anti-Christ will enter the Vatican. The Goldman Sachs bankers are now financial advisors to the Holy See, again as they were in Venice in 1204. Not surprisingly, it is Russia who has come to the assistance of Syria and Russia who is now the defender of Christianity, whilst western nations have been supporting Islamic State covertly and overtly financially, with weapons and also physically with their mercenary armies. Today the world is held to ransom by the usury (compounding interest) banking system of the Federal Reserve begun by German bankers such as Paul Warburg, who originally came from the Del Banco family in Venice, as well as the IMF, BIS and World Bank which has robbed all nations blind and is marching towards a unipolar, one world government and cashless society where they have total control over all internet banking and can charge what they please, with interest. A more modern version of a fiat money system. It is no coincidence that these same Wall Street bankers are ratcheting up the rhetoric against Orthodox Christian Russia, as they did just less than 1000 years ago against Orthodox Christian Constantinople. Russia is no longer part of the dollar and petro dollar based financial system. Along with China they have returned to gold and commodity backed money, as well as establishing their own SWIFT systems for financial transactions. Russia has returned to the Theotokos, it has rededicated itself to the Orthodox Christian church, it has returned to a Gold backed monetary system and in keeping with the principles of the Apostolic church, promotes Nation States, independence and multipolar co-operation between all peoples of the world.